With Abraham Lincoln's assassination, his 'team of rivals' was left adrift. President Andrew Johnson, a former slave owner from Tennessee, was challenged by Northern Congressmen, Radical Republicans led by Thaddeus Stephens and Charles Sumner, who wanted to punish the defeated South. When Johnson's policies placated the rebels at the expense of the freed black men, radicals in the House impeached him for trying to fire Secretary of War Edwin Stanton. Johnson was saved from removal by one vote in the Senate trial, presided over by Salmon Chase. Even William Seward, Lincoln's closest ally in his cabinet, seemed to waver. By the 1868 election, united Republicans nominated Ulysses Grant, Lincoln's winning Union general. His attempts to reconcile Southerners with the Union and to quash the rising Ku Klux Klan were undercut by postwar greed and corruption during his two terms. Reconstruction died unofficially in 1887 when Republican Rutherford Hayes joined with the Democrats in a deal that removed the last federal troops from South Carolina and Louisiana. In 1964, President Lyndon Johnson signed a bill with protections first proposed in 1872 by Charles Sumner, the Radical senator from Massachusetts. *This Review Contains Spoilers* Details abound from all the players involved with the Post Civil War reconstruction. The details overshadowed the explanation of why these things happened. Or at least that's how it came across to me. The racial atrocities, horrific as they were, we're not really expanded upon as I thought they were going to be, based on the book's subtitle. 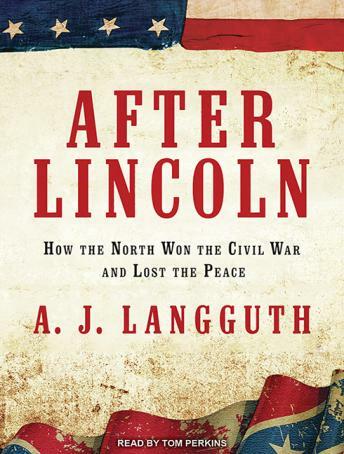 Yes it was after Lincoln, but why the north lost the peace seemed to be a concerted combined effort of the north and the south. The last chapter about the Jim Crow laws spanned 100 years in about 30 minutes. Left me wanting more of the why and less of the who. Informative and interesting book....well worth the time and costs. . Brings worthwhile relevance to current events and racial issues.